As a member of the West Monroe-West Ouachita Chamber of Commerce, there are a number of marketing and promotional opportunities available to you. Every member enjoys an electronic listing and member profile on the Chamber's website, powered by Chamber Master, the WMWO Chamber's membership database system. Through Chamber Master, members are able to take advantage of creating 'Hot Deals' or 'Member2Member Deals.' Build an electronic Hot Deal or Member2Member Deal to share with other businesses or individuals in the community. As a WMWO Chamber member, you also have the opportunity to post job openings and press releases on the Chamber's web site. To learn more about these and other opportunities awaiting every Chamber member, please contact Membership Director Tom McCandlish at membership@westmonroechamber.org. Chamber members have the opportunity to promote events, special offers and other programs in the Chamber's bi-weekly electronic newsletter 'Chamber Connections.' To submit an item for inclusion in the newsletter, please click here. 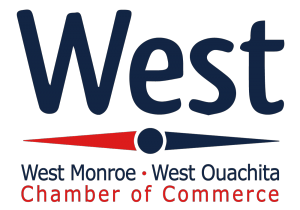 West Monroe-West Ouachita Chamber of Commerce members have the opportunity to enhance their basic membership, allowing them greater marketing and promotional opportunities through their online listing and profile. Click here for more information about enhanced membership. To learn more about any of these events or sponsorship opportunities, please contact the Chamber at (318) 325-1961 or email info@westmonroechamber.org. 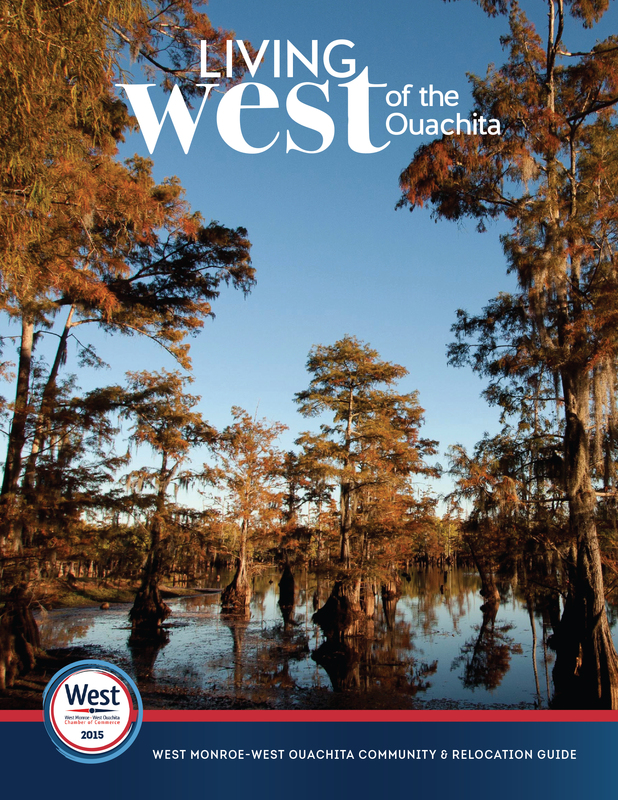 The WMWO Chamber of Commerce is proud to partner with Innesto Marketing of Ruston, Louisiana to publish our annual Membership Directory and Relocation Guide. 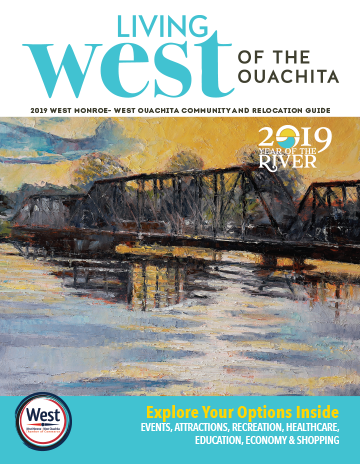 This full-color guide offers information on the West Monroe and West Ouachita area on such topics as education, healthcare and attractions. Approximately 15,000 guides are printed each year and distributed to Chamber members, realtors, local government and tourism offices. Members have the opportunity to advertise in this annual publication. Contact the WMWO Chamber of Commerce for more information. The WMWO Chamber works directly with the Ouachita Parish School Board and Adopt-a-School Committee to connect each of the 36 public schools in Ouachita Parish with at least one adopter during the academic school year. Adopters can be businesses, organizations, civic clubs or individuals who have a vested interest in the betterment of our public school system. Adopters lend their time, talents and resources to local schools through volunteerism, financial giving and donation of products and services. This program allows adopters to connect with local schools, teachers, principals and parish school administrators. 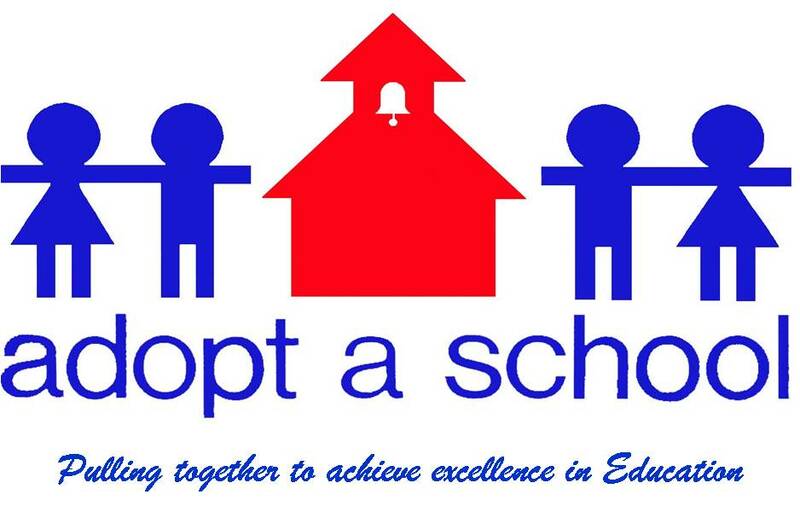 To learn more about the Adopt-a-School program, call the Chamber at (318) 325-1961.